Home > Artikel > Survey: Where do all the boats go? My interest in the global movement of cruising boats goes back to 1987, when I published the results of my first survey on this subject. In the intervening three decades I have conducted every five years a follow-up survey; the latest was done in 2016 and examined the global situation during the previous year. The number of cruising yachts that visited key cruising destinations in 2015 compared with other years. To enlarge the diagram, click here. Since the publication of my previous survey on movement and distribution of sailing boats in 2010, the world has been confronted by two major phenomena that have affected offshore cruising both in the short and long term. The political upheavals in the Middle East and North Africa have greatly affected cruising in the Mediterranean as well passages through the North Indian Ocean and Red Sea, but while those effects can be regarded as regional, the consequences of climate change are now affecting the entire world. Global weather conditions in 2015 were also affected by a prolonged El Niño episode that exacerbated the ongoing effects of climate change, most notably in the NW Pacific where at least one typhoon occurred in every month of the year, with a safe sailing season now sadly a thing of the past. As on previous occasions, in order to construct a realistic image of the global movement of sailing yachts, I contacted officials in the most important hubs in every ocean requesting statistical data on the number of foreign flagged yachts that had passed through those ports in 2015. The resulting global canvas was filled in with figures obtained from the most popular destinations on the world cruising circuit as well as some of the least visited places in the world. 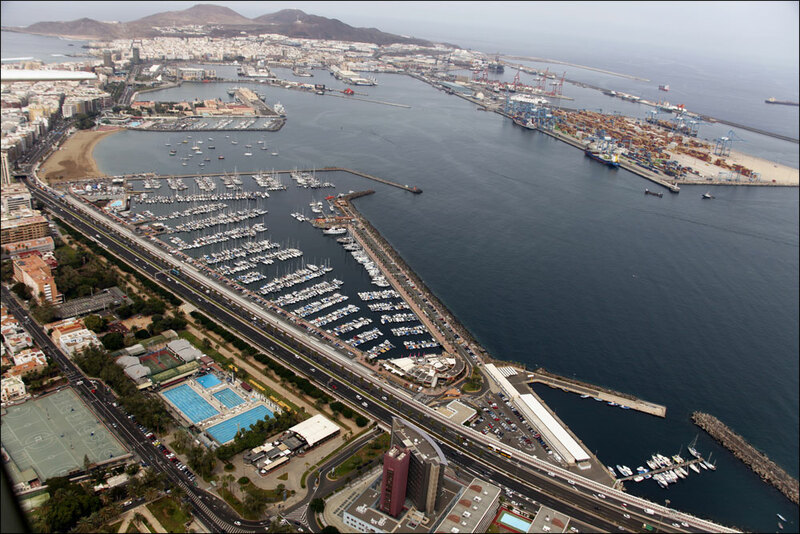 The port of Las Palmas in the Canary Islands boasts a larger concentration of boats preparing for an ocean passage than any other place in the world, with the majority setting off across the Atlantic to the Caribbean from there. Approximately 75% of the boats that called at Las Palmas continued across the Atlantic to which should be added an estimated 200 boats that left from other Canarian islands, some that left from Madeira or directly from Gibraltar. 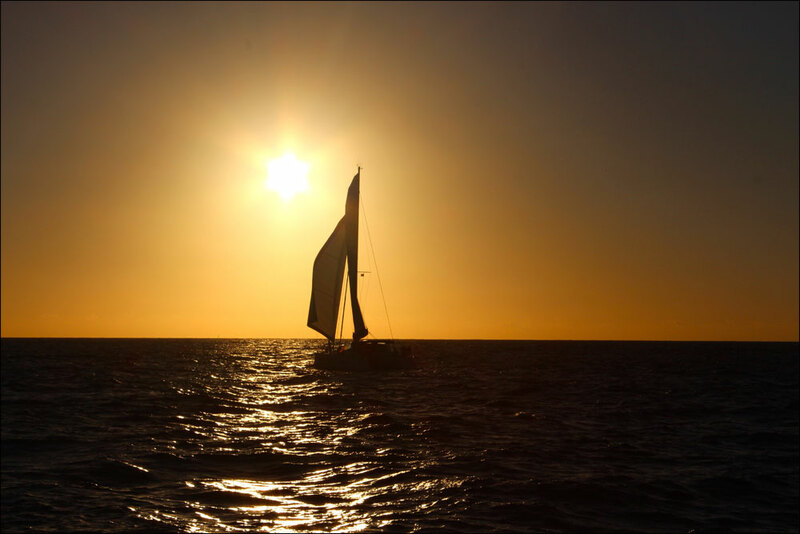 Extrapolating from the figures obtained from the Cape Verdes, Canaries and Madeira, it can be assumed that every year approximately 1200 boats cross the Atlantic along the NE trade wind route. This indicates a significant reduction of 20 per cent from the estimated 1500 boats based on the figures provided by the same sources in 2010. Even if the numbers in Las Palmas were smaller, the nationalities of sailors have remained generally unchanged compared to the recent past, with French yachts in the lead (199), followed by Britain (163), Germany (98), USA (62), Netherlands (57), Sweden (49), Belgium (39), Norway (31), and others. The flags seen in Mindelo paint a similar picture. Most of the European boats that sail to the Caribbean usually complete an Atlantic circuit by sailing from the Canaries to the Caribbean after the middle of November, and returning home the following year in May or June by sailing to the Azores, either direct or via Bermuda. 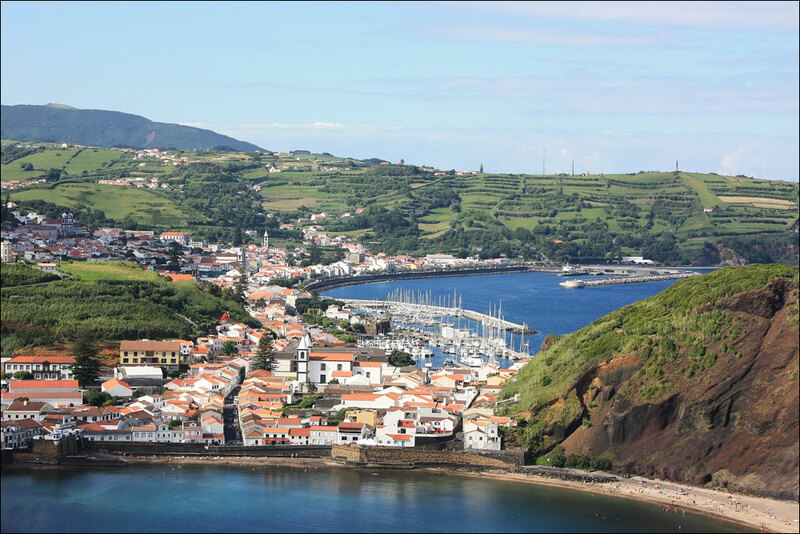 As the westernmost of the Azores, the port of Lajes on the island of Flores makes a welcome landfall at the end of a long passage. The small marina recorded 184 transatlantic arrivals in 2015, of which 83 originated in the Eastern Caribbean, 68 in Bermuda, and 31 in USA or Canada. However, many more boats bypassed Lajes and made straight for Horta, on the island of Faial, which continues to be the preferred landfall at the end of an eastbound transatlantic passage. The port authority has been keeping detailed records of visiting boats since 1985 and this treasure-trove of data made it possible to extract a raft of interesting facts about the boats, their crews and routes sailed. The data also confirmed the downward trend highlighted by the figures from Las Palmas. Horta’s tradition of hospitality is legendary as every sailor who sets foot ashore there at the end of a long passage will testify. The very first was Joshua Slocum, who was welcomed here in 1895 on completion of his transatlantic passage at the start of his single-handed voyage around the world. 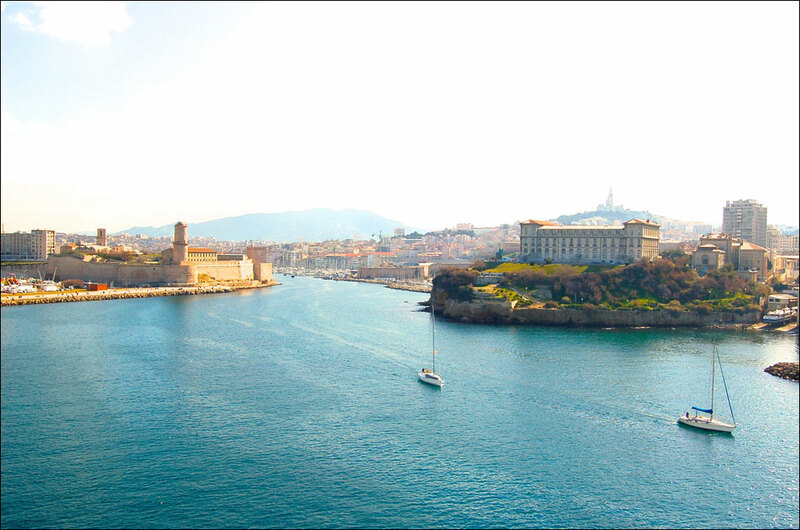 In the intervening years Horta has become the most important sailing hub in the world, both by the number of visiting yachts and the multitude of their ports of origin or destination, from Panama to Iceland, Cape Town to Greenland. While the total of boats (1232) that cleared into Horta during 2015 was in fact higher than in 2010 (1098), on closer inspection it became clear that just over half of them were undertaking a longer voyage. Combined with the figures from Lajes, the data confirmed that the majority of boats on passage from the Caribbean to Europe sailed directly to the Azores, with far fewer making the detour to Bermuda than in the past. The data obtained from Horta reconfirmed the predominance of French yachts. Among the total of 1232 visitors, 358 were flying the French tricolore, 143 were from the UK, Germany (94), Netherlands (77), USA (59), followed by the surprisingly high number of boats from Belgium (35) and others. The high number of boats flying the Belgian flag is explained by the large number of owners from other EU countries registering their yachts in Belgium to take advantage of the less stringent safety regulations. While Horta has overtaken Bermuda in sheer numbers of visiting yachts, Bermuda continues to be just as important in its role of point of transit by North American boats sailing between the mainland and the Caribbean or Europe, as well as by boats returning from the Caribbean either to the US east coast or Europe. The total of boats that called at Bermuda in 2015 was 732 and confirmed a 37 per cent decline that has been noticeable since 2000. This is mainly due to the large number of American boats that nowadays bypass Bermuda and sail directly to the Eastern Caribbean. The situation is reversed in May and June, when many more boats returning to the US mainland call at Bermuda. Another reason for the overall reduction of visitors to Bermuda is that many more European boats now sail directly from the Caribbean to the Azores. Over half the boats that arrive in the Caribbean from either Europe or America used to spend at least one full season there, but in recent years concerns over the effects of climate change have resulted in a significant increase in the number of sailors who prefer to limit themselves to a one year circuit, be it from Europe or North America. Those who decide to stay longer in the Caribbean usually have their boats stored on land in a secure place during the hurricane season. The island of Trinidad has set up several boatyards for this purpose with 1015 boats spending the summer there in 2015, which shows a significant reduction from the 2664 in 2000 and 1367 in 2010. The total number of boats that spend the winter season cruising in the Caribbean has remained relatively stable in recent years but one country that has seen a significant increase is Cuba. Its major ports and marinas recorded in 2015 a total of 1256 foreign flagged yachts, both sail and power. As several of them had cleared into more than one port, the actual number of individual boats was probably closer to 500. Even so, this is a marked increase as it is double the figures for 2010 and points to a trend that is going to accelerate now that relations with the USA are being normalised. According to Commodore José Miguel Escrich of the Hemingway International Yacht Club of Cuba, ‘By the summer of 2016 the figures for 2015 had doubled again as we witnessed a steady influx of visitors from the United States. We are so happy to be able to welcome and offer our friendship to all those who love the sea’. While warm water cruising has remained generally stable on a global level, cold water sailing may become more popular as sailors strike out for more challenging destinations. Two high latitude destinations in the North Atlantic that are now regularly visited by cruising yachts are Spitsbergen and Greenland. The former showed a small increase over 2010, but Greenland is poised to become more frequented both as an attractive cruising destination in its own right and as a base for preparing for a transit of the Northwest Passage, which has become more accessible as a result of climate change. An estimated 32 boats called at Nuuk, the capital of Greenland, in 2015 with most limiting their cruising to the spectacular west coast. The more intrepid struck out west to brave the challenges of the Northwest Passage with eight succeeding to complete a transit of that elusive shortcut to the Pacific. Three boats completed an eastbound transit, among them my own Aventura, the 87th sailing vessel to achieve that feat unassisted. At the other extreme of the Atlantic Ocean, voyages to Antarctica showed a remarkable decline from 32 boats in 2010 to only 18 in 2015, among them eight sailing boats, three motoryachts, with the remaining seven engaged in charter work. The busy Argentinian port of Ushuaia, at the tip of South America, is where boats planning to sail south to Antarctica or north to the Chilean Canals prepare and provision for their voyage. The 64 arrivals in 2015 were down from the 83 in 2010 or a peak figure of 105 in 2000. Across the Beagle Channel from Ushuaia is Puerto Williams, a Chilean military outpost and the southernmost settlement in the world. 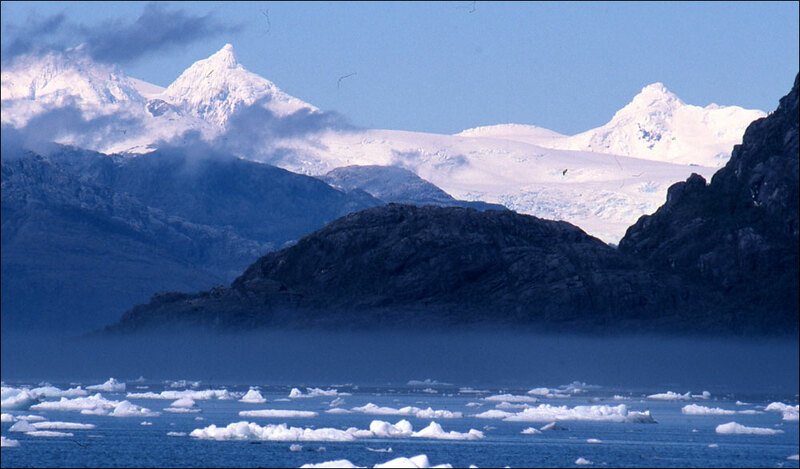 The small port is only a short distance from Cape Horn and as the Chilean authorities have jurisdiction over an area that includes the Antarctic Peninsula as well as parts of Tierra del Fuego, any boat planning to sail that way must complete formalities here. From Puerto Williams and Ushuaia most cruising boats turn north for the spectacular fjordland of Southern Chile and continue their voyage westward into the South Pacific and the rarely missed stop at Easter Island. On the opposite side of South America, most yachts heading for the South Atlantic from Tierra del Fuego and the Beagle Channel call at Port Stanley in the Falklands, which saw 29 yachts in 2015. From there, the routes diverge and either follow the contour of the South American mainland, or continue nonstop to St Helena or Cape Town. As a result of the dangers involved with sailing the North Indian Ocean route, any sailor on a westbound world voyage was confronted with four options: brave the risks of a passage through the Red Sea, have the boat shipped from SE Asia to the Mediterranean, continue the voyage around South Africa, or abandon a passage through the Indian Ocean altogether. The few who took the first option in 2015 were indeed very daring and as the situation in that part of the world continues to be extremely volatile, it should not be attempted while there are no signs of a real improvement. 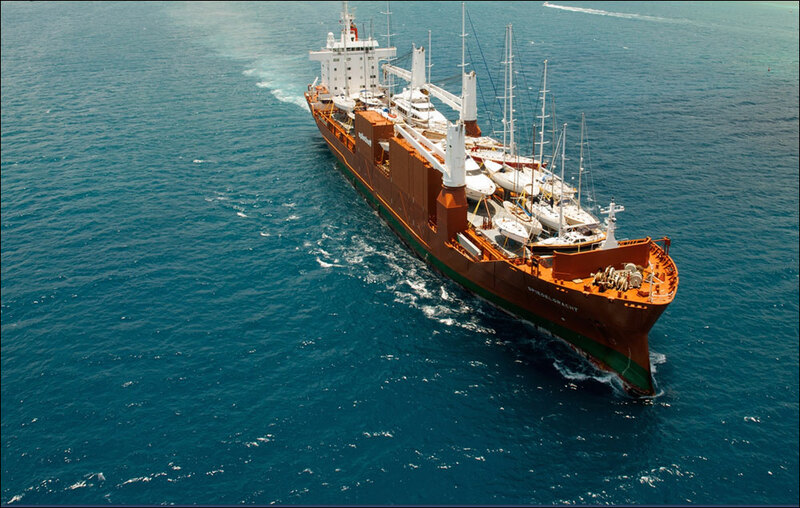 The Sevenstar transport company shipped 25 boats from SE Asia to Turkey in 2015, and continues to offer this service to those who are not deterred by the high cost of the operation. With good planning, the route around the Cape of Good Hope should present no great problem, and has the added attraction of several interesting places along the way, the best being undoubtedly South Africa itself. All boats that clear out of South Africa must now be docked at the Royal Cape Yacht Club before leaving, which made it fairly easy to obtain their details. Compared to 2010, the increase was indeed remarkable with a total of 358 long distance sailing boats calling here, 236 bound for the Atlantic, the rest for the Indian Ocean. The northbound figures were borne out by the statistics from St Helena, the 196 arrivals also showing a net albeit more modest increase. St Helena is such an important port of call in the South Atlantic that, with the exception of a handful of boats that sail directly from Cape Town to Argentina or Brazil, virtually no boat on a world voyage sails by without stopping. Therefore it was interesting to notice that British boats were the largest contingent (30), followed by South Africa (29), USA (26), France (24), Germany (16), Australia (11), Canada (9), Netherlands (6) and others. From St Helena, the most common destination was the South American mainland (38%), followed by Ascension Island (31%), Caribbean (17%) and the Cape Verdes (6%). Against this background, Marina Jacaré, near the town of Cabedelo, and run by two French expat sailors, has somehow managed to remain an oasis of tranquility with 81 visitors in 2015. Not surprisingly, the French contingent was the largest (38), followed by UK (8), Germany (6), Belgium (5), USA (4), and a few other nations. Most European boats appeared to be on an a one-year sabbatical tour with virtually all planning to sail north to the Caribbean before returning home, with only four intending to sail south. The Panama Canal is the most valuable indicator of yacht movement both between the Atlantic and Pacific and on a global level, and the latest figures show that the steady increase in the number of transits by pleasure craft may have peaked in 2010 when 1177 yachts transited the Panama Canal compared to 1079 in 2015 (725 Pacific bound and 354 Atlantic bound). What has remained mostly unchanged are the Pacific destinations after the transit, with two thirds of the boats turning north, towards the west coast of Central and North America, and the rest heading for the South Pacific. The restrictions applied to visiting yachts in Galapagos are still in force, but since the use of a local agent in dealing with formalities has become compulsory, entry formalities have been streamlined, albeit at a very high cost. Visiting yachts are now granted stays of up to twenty days by the port captains in the two official ports of entry: Baquerizo Moreno and Puerto Ayora. Just as in Panama, the record high of 395 arrivals in 2010 had dropped in 2015 to 280 boats, some sailors being obviously deterred by the complex formalities and the expenses associated with them. This is undoubtedly the reason why many sailors no longer plan on stopping in the Galapagos Islands and prefer to sail a different route to French Polynesia. For those who are determined to bypass Galapagos, the logical option is to sail directly from Panama to the Marquesas. 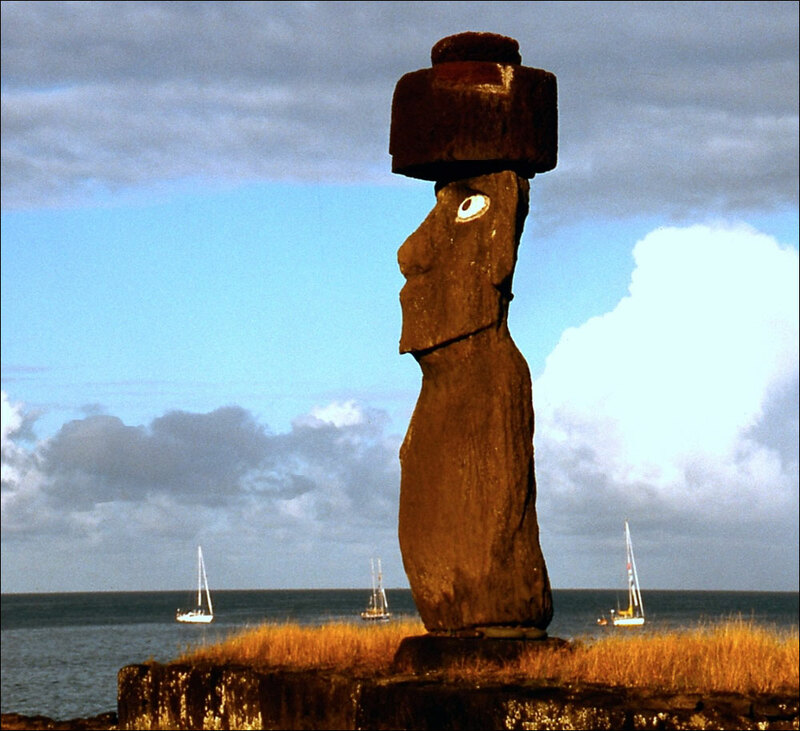 A somewhat longer but potentially more attractive alternative is to make a detour to Easter Island and continue from there via Pitcairn Island to French Polynesia. 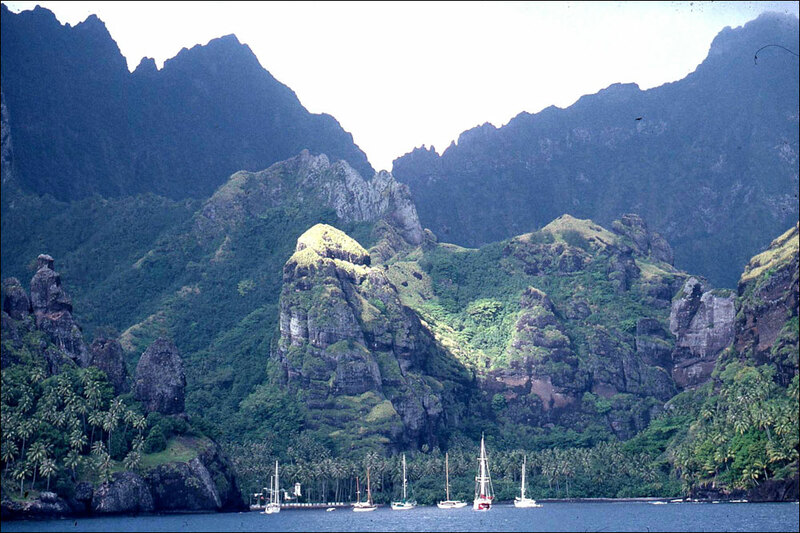 The increasing attraction of this southern route is also shown by the fact that 70 boats made landfall at Mangareva, the southeastern point of entry into French Polynesia. Among those, 14 stopped at Pitcairn, the legendary island that served as the secret retreat for the Bounty mutineers, whose descendants continue to live on this remote speck of land. Landfall in the spectacular Marquesas at the end of a 3,000-mile- passage is an uplifting experience that no sailor can ever forget, nor should any miss. In 2015, 397 boats arrived there, the majority at Atuona on the island of Hiva Oa. The total of arrivals for the entire French Polynesia was 556, which included 11 that made landfall in the southern Austral Islands at the end of a passage from New Zealand. The number of arrivals in 2010 showed a drastic decline from the record 826 reported in 2010. 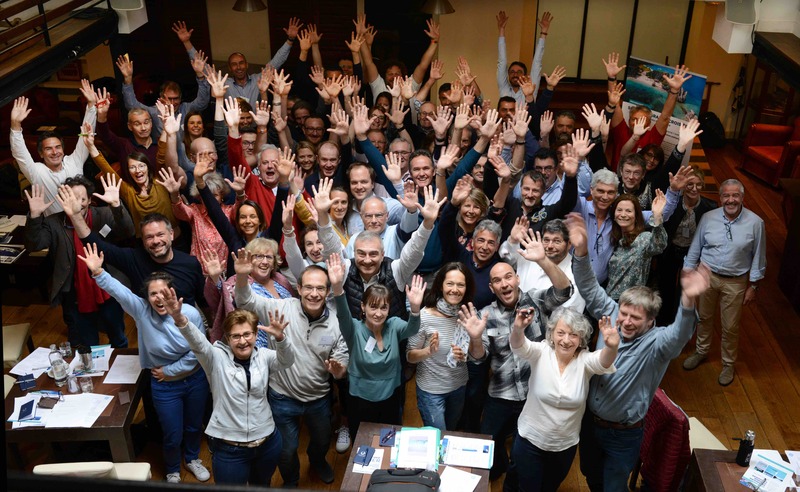 The largest contingent was from USA (143), followed by France (90), UK (66), Australia (43), New Zealand (39), Germany (6), Canada (23), Netherlands (22), Switzerland (15), Belgium (12), Norway (6), Italy (5), and a host if other nations. The boats which transit the Panama Canal and head for the South Pacific are joined in the Marquesas and Tahiti by boats that have sailed from Mexico, the west coast of USA or Canada, and Hawaii. In 2015, 166 American and Canadian boats arrived in French Polynesia, but compared to the past, when many continued on a circumnavigation, or at least sailed as far as New Zealand before turning around, about half of the North American boats now turn north from Tahiti and head for home. Sailing west from Tahiti there are several detours that can be made from the main trunk route, such as to the once rarely visited Palmerston atoll, which was visited by 71 boats. Another highly popular place, also in the Cook Islands, is Suwarrow, an uninhabited atoll where a caretaker is based during the peak arrivals time and welcomed a total of 69 boats. The total of arrivals for the entire island group was 209. In neighbouring Tonga, the main island of Tongatapu was once again eclipsed by the northern island group of Vava’u. 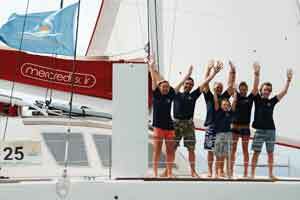 This long time favourite among sailors roaming the South Seas welcomed 424 arrivals. All the above places are close enough to the main transpacific route not to entail much of a detour, and this may explain the fact that only 3 boats called at Tokelau, and 6 at Tuvalu, two small and isolated Polynesian communities that would have justified the effort to drop by and say hello, especially as both are likely to be the first victims of the rising sea levels caused by climate change. By the time they have reached Tonga or Fiji, most cruising boats leave the tropics before the cyclone season and sail to New Zealand or Australia. Although ports in South Queensland and New South Wales have been attracting an increasing number of boats, New Zealand continues to be the favourite destination. This was borne out by the 669 arrivals in New Zealand, the majority making landfall at Opua in the Bay of Islands, with late October and November being the bumper time. Of the total, 491 were foreign flagged: USA (102), UK (70), Australia (65), Germany (32), France (30), Canada (22), Netherlands (15), Italy, Switzerland and Belgium with 7 each, followed by 37 other nationalities. While in New Zealand the numbers have remained stable, in Australia the number of foreign vessels has dropped by 21 percent from 459 in 2010 to 361 in 2015. The situation was similar in neighbouring New Caledonia which saw 328 arrivals compared to 415 five years previously. The figures recorded along the South Pacific trunk route show a certain decline in the total number of cruising boats and this trend is now reflected on a global level. While the South Pacific continues to attract most of the yachts undertaking a world voyage, the situation in the North Pacific has remained almost unchanged compared to 2010, although there was a considerable decline in the number of foreign visiting boats in the Western North Pacific. This is the first area in the world to suffer the consequences of climate change on a large scale, with weather conditions being noticeably affected by the warming of the oceans. The worst affected were the Philippines, with a tropical cyclone striking the country in every month of the year. A defined safe sailing season can no longer be counted on. A similar trend now appears to affect all of Micronesia, which was visited by 27 tropical cyclones in 2015. Although rarely affected by tropical storms, and enjoying benign conditions throughout the year, foreign flagged yachts are still a rare sight in Hawaii. Probably for that reason, the authorities do not keep a record and the best guess is that only an estimated 30 foreign yachts called at the islands in 2015. In fact, Hawaii does attract many American boats and is visited every year by between 200 and 250 boats, both cruising and racing. Some sail from there to French Polynesia and a few continue west towards Micronesia and the Asian mainland. Some of them were among the 37 arrivals in the Marshall Islands, which is probably a fair estimate of the approximate number of boats calling at the Micronesian islands generally. In spite of the uncertain weather conditions mentioned above, the Philippines continue to attract visiting boats, but most of them limit themselves to the southern part, which is rarely affected by tropical storms. On the Asian mainland, the expected boom in cruising boats has so far failed to materialise and the estimates from Hong Kong show in fact a decline compared to the previous survey. This comment of a long-standing member of the Royal Hong Kong Yacht Club points to the reason: ‘Hong Kong’s new “mainland” style bureaucracy has pretty much stifled visiting yachts as they are not allowed to operate in Hong Kong waters without a Hong Kong captain’s license.’ There was not much more movement in China either where formalities for visiting yachts continue to be both complicated and expensive. A small number of cruising boats make it as far as Japan every year with an estimated 20 foreign yachts passing through Osaka in 2015. Ten of them could be traced, as they made their way east, with some stopping at Dutch Harbor on their way to Canada or the US west coast. 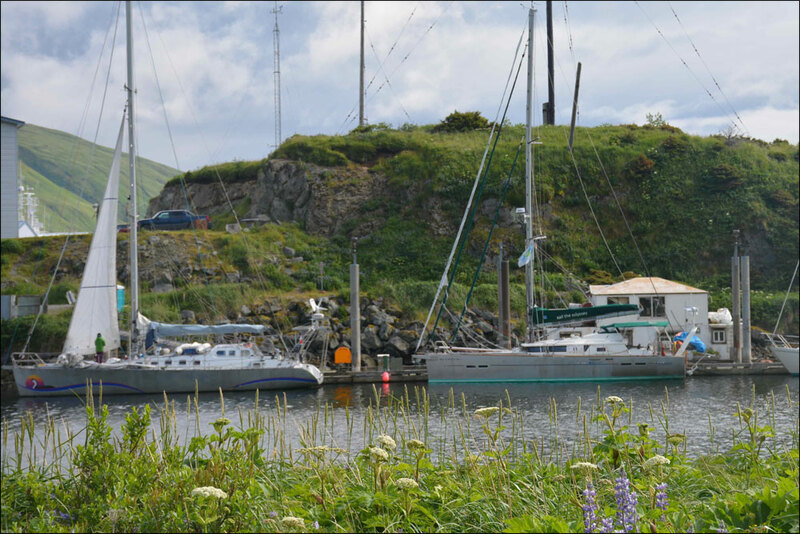 This busy fishing port at the western edge of the Aleutian Islands saw a record 23 visiting yachts in 2015. Both its provisioning and repair facilities are excellent and this is a good base to prepare the boat for those planning an eastbound transit of the Northwest Passage. Because of the serious threat of piracy in the North Indian Ocean, 2010 was the first year when more boats on a world voyage sailed the Cape of Good Hope route than crossed the North Indian Ocean to the Red Sea and Suez Canal. This trend continued in the intervening five years with very few sailors taking the risk to reach the Mediterranean that way. However, due to the presence of an international naval force in the North Indian Ocean, the threat posed by the Somali pirates has been virtually eliminated. As a result, 2015 saw the first cruising boats braving that northern route, with a total of 14 boats arriving in Suez from the North Indian Ocean. In spite of the fact that these boats had passed safely through the critical area of the Gulf of Aden and Red Sea, it must be stressed that sailing in that area is still potentially dangerous. As a result, there has been a noticeable reduction in SE Asia in the number cruising boats on a world voyage as many avoid the North Indian Ocean altogether. By contrast, there continues to be a fair amount of coastal traffic with more local and regional boats, both racing and cruising, joining the rallies and regattas held during the winter season in Western Malaysia and Thailand. The Singapore port authority recorded just over 200 foreign flagged boats calling in 2015, with the figures obtained from Phuket confirming an increase in visitors from neighbouring countries. With very few sailors daring to risk a passage to the Mediterranean via the North Indian Ocean and Red Sea, on reaching SE Asia their only reasonable option is to switch hemispheres and head south. A convenient port en route is Galle, on the south coast of Sri Lanka, where 98 arrivals were recorded in 2015. Some made a further detour to Cochin in South India, but few boats persevered on a westbound course, with the notable exception of the 14 boats that reached Suez. Among them, twelve were on a world voyage that had originated in Australia or New Zealand, and the remaining two had started from ports in the Persian Gulf area. Rather than face the challenge of a passage to and around South Africa, many Australian and some New Zealand sailors are now buying a boat in Europe, mostly catamarans, and sail home via the Panama Canal avoiding the Indian Ocean and thus completing a safe and convenient semi-circumnavigation. In contrast to that, some French sailors do it the other way round: they leave home, stop at various French territories in the Caribbean and South Pacific before finishing in New Caledonia where they sell their boats and return home having completed a similar semi-circumnavigation. It is estimated that approximately 200 yachts transit the Torres Strait every year. Some of those that are heading directly for the South Indian Ocean usually stop at Darwin in Northern Australia, which saw 72 arrivals in 2015. The alternative is a cruise through the Indonesian archipelago and 236 foreign vessels obtained the required cruising permit issued by the Indonesian Ministry of Foreign Affairs. That requirement has been discontinued in 2016, in an attempt to attract more visitors to what continues to be one of the most interesting and diverse cruising grounds in the world. Heading west from either Darwin or Indonesia, the Australian outpost of Cocos Keeling continues to be a popular stop with 99 visitors in 2015. Among them, 29 were from the UK, USA (17), France (14), Germany (9), Australia (8), Netherlands (5), Sweden (3), and a few others. From Cocos Keeling the westbound route splits into a southern branch to Rodrigues and Mauritius and a northern branch bound for Chagos (British Indian Ocean Territory). The latter recorded 48 arrivals, a significant reduction of 54 per cent from the 105 boats five years previously, as the British authorities, who administer this territory, now limit the issuing of the compulsory permit to those who can justify the need for a stop in those islands, and seem determined to discourage those who regard them as an interesting cruising interlude. The most popular stop along the more frequented southern route is Port Louis in Mauritius, with 281 boats being recorded, a major increase over 2010 and a definite proof of the predominance of the Cape of Good Hope route among boats on a world voyage. The largest contingent (67) flew the South African flag, thus pointing to a steady two-way traffic. The rest of the boats all seemed to be on a world voyage with UK (34), France (29), USA (25), Germany (12), Netherlands (7), Belgium (4), Italy (3), etc. When first discovered as an as yet unexplored cruising destination, Madagascar was expected to become the major attraction in the South Indian Ocean, but the lack of facilities, cumbersome bureaucracy and the ever lingering threat of piracy has put paid to those hopes. The activities of the Al-Shabaab terrorist group in East Africa and its attacks on tourist resorts have engendered a profound sense of uncertainty in this part of the world that has cast its shadow over neighbouring cruising destinations such as Northern Madagascar, the Seychelles and even Mozambique. Nosy Be, on Madagascar’s NW coast has established itself as a modest base but few world voyagers bother to make the lengthy detour from Mauritius or La Reunion over the top of Madagascar. An estimated 30 boats visited the Nosy Be area in 2015, half made up of South African boats undertaking a one-season round trip. On the eve of a new cyclone season, all boats make their way south. Richards Bay and Durban are the usual South African landfall ports, with arrivals evenly split between them. A total of 110 boats arrived in Durban from the north in 2015. Some of the most important changes on the world sailing circuit in the last five years have occurred in the Mediterranean. The political turmoil in the Middle East and North Africa, the war in Syria and surrounding area, the refugee crisis, have disrupted or entirely closed some of the most popular cruising grounds of what used to be once described as Mare Nostrum. Perennially popular places such as the Balearics, Croatia and Greece continue to be uncomfortably crowded during the summer and even outside the high season visiting yachts have difficulties finding places in marinas thus deterring visitors from coming. The stricter application of the Schengen regulations has also led to a reduction in the number of non-EU sailors, especially from the USA. As the gateway into the Mediterranean, Gibraltar recorded a total of 2472 transits in 2015, a substantial decline compared to 2010 and a possible sign that the number of visiting yachts is on the way down in the Mediterranean, just as in most places covered by this survey. This latest survey has highlighted three interesting factors: the small size of crew on long voyages, with many couples sailing on their own, the number of couples with young children setting off on a shorter or longer sabbatical leave, and the steadily increasing proportion of catamarans among cruising yachts. 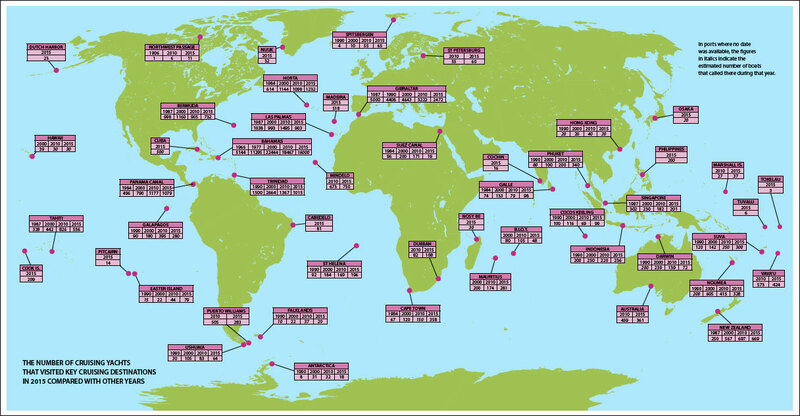 These factors are possibly interrelated and the data gathered from some of the most important hubs along the world sailing routes may show that. I therefore decided to widen the scope of this global survey to find out more about the boats than just their numbers or flags, but also average length, size of crew, and whether they were monohulls or catamarans. Figures obtained from Panama, Tahiti, Bermuda, and Horta, made it possible to calculate their average length. To arrive at a realistic figure, only boats under 60 feet were taken into account as very few of the larger boats would fit the description of a standard cruising boat. Among the 775 boats that arrived in Horta, in the Azores, on completion of their passage from the Caribbean, the average length was 43.8 feet. The average among the 556 arrivals in Tahiti was higher, at 45.2 feet. The Bermuda average for the 560 boats was 46.9 feet, while 45.9 feet was the average for the 617 boats that had transited the Panama Canal. The overall average length for the 2,508 boats under 60 feet that called at the above locations was 45.3 feet. The above results included both monohulls and multihulls. The number of catamarans on long voyages has been steadily increasing and this was a good opportunity to find out their actual proportion among cruising yachts. Once again, I referred to the detailed statistics obtained from the Azores and found that 22 of the 184 of the arrivals in Lajes were catamarans (12%), and 103 of the 775 (13%) among those in Horta. The percentage had risen to 17% (185 of 1058) among the Panama transits. The highest percentage (19%) was recorded in Noumea (New Caledonia), with 61 catamarans from a total of 328 boats. This is not surprising bearing in mind the large number of French boats based there, many of them catamarans. The situation in some rallies confirmed this trend, with 17% in the Blue Planet Odyssey, 19% in World ARC, 14% in the ARC (35 of 259), and 17% among the 209 boats in the Pacific Puddle Jump. The Atlantic Odyssey achieved the highest percentage, with 11 catamarans among the 39 boats (28%) in the 2015 event. Early in 2016, the tourism office of French Polynesia conducted a wide-ranging survey to assess the impact of pleasure craft on the communities in the various island groups they visited during 2015. The survey drew on three sources: entry and exit data compiled by immigration, customs declarations submitted by each vessel, and a questionnaire completed by each captain. 234 captains responded positively and the results are highly informative as they provide a unique insight into such a significant sample of long distance boats and voyagers. Among those questioned, 43% described themselves as being on a world voyage, 46% on a round Pacific voyage and 11% on an open-ended cruise. As for crew, 51% of the boats were sailed by just a couple, 13% had a crew of 3, 20% a crew of 4 and 13% had larger crews, while as many as 10% were singlehanders. More efficient and better equipped boats, with reliable automatic pilots, electric winches, furling gears and countless other accessories has resulted in an overall reduction in the size of crew. This was evident in the sample from St Helena with an average crew of 3.3, whereas in Vava’u it was 3.5, in Cocos Keeling 2.6 and the Marquesas 2.7. 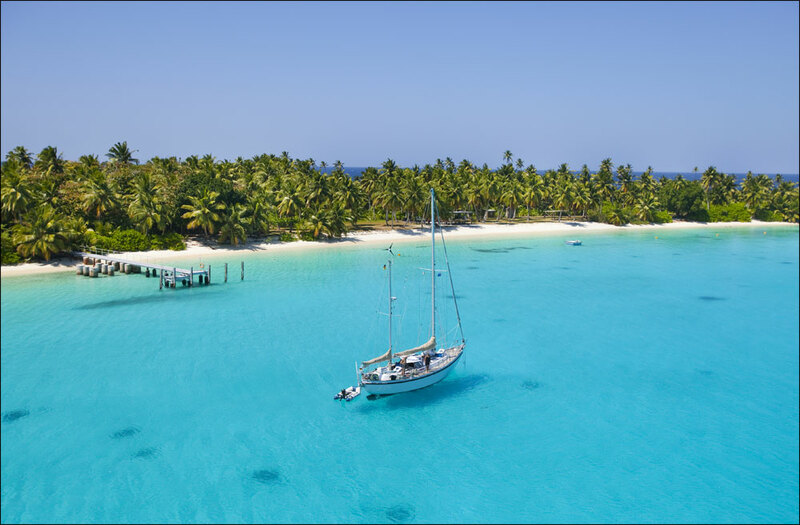 It is indeed worth adding that at both Cocos Keeling and the Marquesas, over half the boats were sailed by just a couple. Since my first global survey in 1987, the cruising scene has seen important changes and while this survey has found that in a few places there has been an increase in the number of visiting yachts, the figures from Las Palmas, Bermuda, Panama, Galapagos, Tahiti, Tonga and Australia seem to indicate that the popularity of long distance voyages may have peaked in 2010. Those numbers may also point to a global trend among potential world voyagers. There are various reasons for this, but they all seem related to safety concerns. Although climate change has only started to visibly affect offshore weather, most sailors are worried about conditions becoming less predictable, with safe seasons no longer being taken for granted. The world is also regarded as less safe on a personal level, not only in such high risk areas as the North Indian Ocean and Red Sea, Venezuela, Brazil, Honduras, North, East and West Africa, but also in parts of the Eastern Mediterranean and Caribbean. The prevailing economic uncertainty may also deter some sailors from setting off on a world voyage not knowing what to expect on their return. To assess the approximate number of boats that are undertaking a long voyage, I estimate that worldwide there are approximately 8,000 either cruising in a certain area or actually voyaging. About half are in the Atlantic, 1,500 to 2,000 in the Pacific, 1,000 in the Indian Ocean, and 1,000 in the Mediterranean. This estimate is about twenty percent lower than the conclusion I drew in 2000 and 2010, when I reckoned that there were between 10,000 and 12,000 boats roaming the oceans of the world. Finally, those who are planning a world voyage should take heart from the fact that, in spite of some concerns, such attractive destinations as the Azores, French Polynesia, New Zealand, Tonga, Vanuatu and Indonesia, not to speak of more remote or high-latitude destinations, have not been overrun by visitors and show no signs of that happening soon. A definite result, caused mainly by the above concerns, is a move towards regional cruising with many sailors now preferring to limit their voyages to one area or just one ocean. In line with this trend, for many sailors the aim of completing a circumnavigation seems to have lost its aura and whereas in the past most of those who set off on a world voyage were hoping to eventually sail round the globe, nowadays it is only the most determined who find the motivation to go all the way. 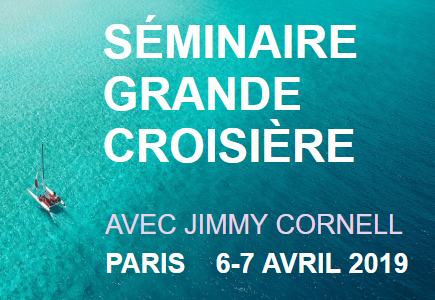 Note: Since 1987 Jimmy Cornell has conducted every five years a survey of the global movement of cruising yachts. He is the author of the international bestsellers “World Cruising Routes” and “Cornell’s Ocean Atlas”.